Emily Devenport, who has had nine novels published over the past 15 years or so. We talk a lot about how the internet is making it possible for writers to publish books independently (good for her) and how it is possible for illustrators to conduct a freelance illustration business independently (good for me). So ... what if we should collaborate on a project and in the process create a brand new animal ... an audio/visual presentation from her already published novel, Belarus, for a new website. 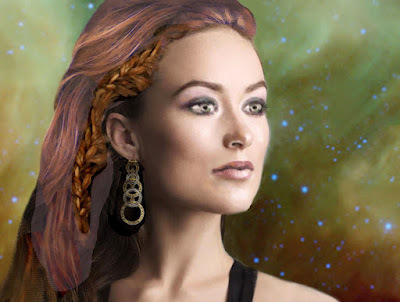 This would be a very elaborate, panoramic, moviola-type slide show with Emily's voice and music in the background and would be created for the promotion of the audio-book version of this highly imaginative and engrossing science fiction novel. Belarus was published by ROC in 2002 under her pen name, Lee Hogan. Emily's new website would also be promoting audio books of her other published works, new novels and short fiction in audio or e-book format, complete (of course) with illustrations. We even fantasize about audio-visual graphic novels to be presented online or on other digital devices. 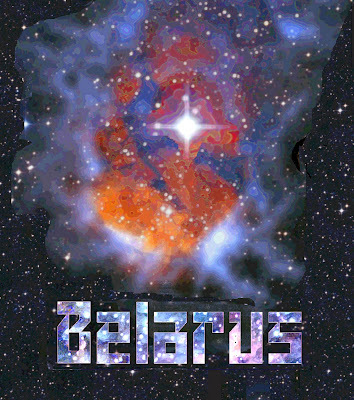 Here I will show the progress of my illustrations for our initial project, Belarus. Imagine a time many thousands of years in the future where distant planets are redesigned and built to specifications by World Engineers in touch with legions of artificially intelligent beings called "Sprites" to help them; a time when people are bio-enhanced in special ways for special tasks and live many hundreds of years; a time of amazing achievements by men of wealth, integrity and vision, such as Russian nobleman Andrei Sergeivich Mironenko. Andrei Mironenko's dream was to revive the glory of ancient Imperial Russia by colonizing an alien planet with all the grandeur of its famous cities but also with a more idealized and democratic way of life. He planned to preside over the new world, Belarus, as Tsar until it was established enough for the people to run the Republic. Essential to the Grand Plan were his team of talented assistants. Pictured below are two of his closest aids: World Engineer Natalia Korsakova and Enhanced Special Agent (ESA) Grigory. Natalia Korsakova, nicknamed Tally, was as technically brilliant as she was beautiful. 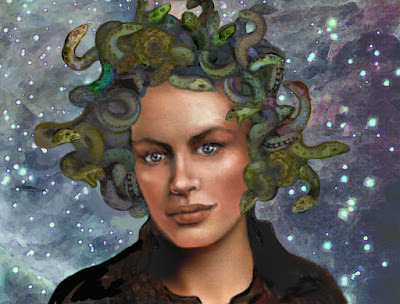 She used the Medusa-like "rasta-links" that plugged into her skull and then connected to all the various sources on her command station to gather information and engineer the creation of Belarus. 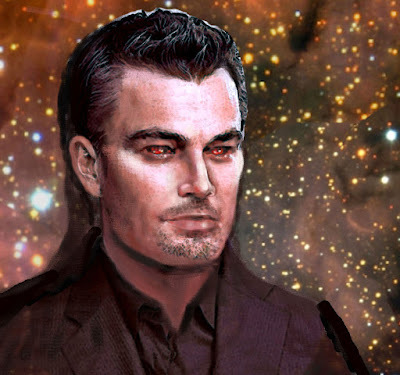 Enhanced Special Agent Grigory had bloodstones where his eyes once were, but he could "see" far more than ordinary men. The expression on his face was usually grim, even frightening, but he was the man you wanted on your side. 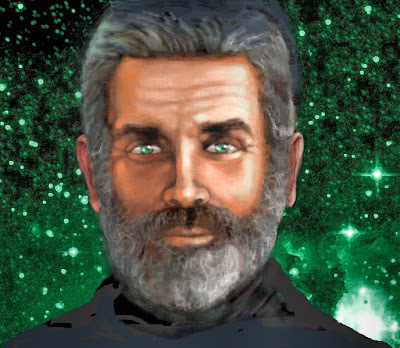 He was the Chief of all the ESAs on Andrei's Staff; he was in turn, watcher, advisor, confident, defender and warrior. All of his super-human skills would be heavily relied upon in meeting the upcoming dangers facing Belarus, its leader plus all of its people. Another important figure in Andrei's long life (337 years), was the "Grandmother Witch" from his childhood, Baba Yaga, tales about whom his father had often told him. 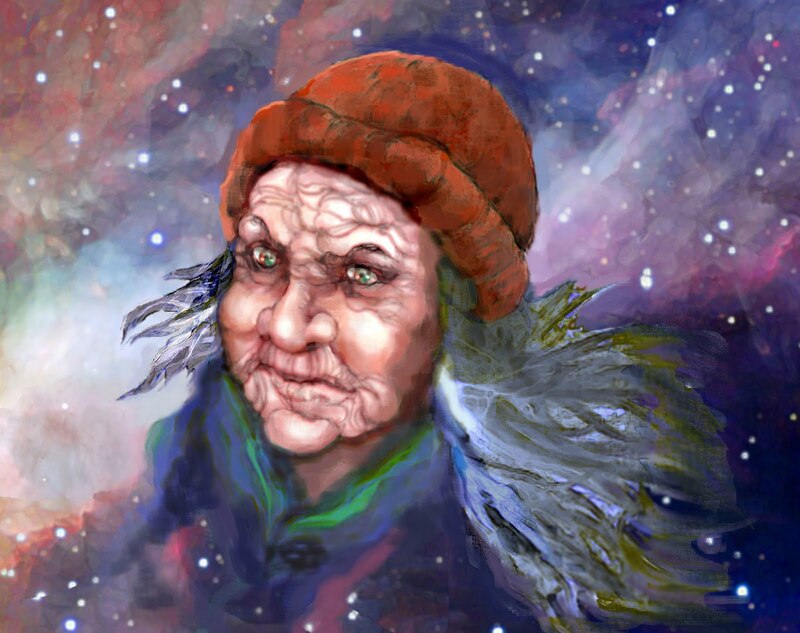 Very wise, her life spanning thousands of years, Baba Yaga transcended her mythological entity to contact Andrei and even "appear" to him giving cryptic warnings and advice. Regal beauty Katerina Pavlova Mironenko was Andrei's fourth wife. His other wives had been accomplished women who were all killed in the line of their work. He missed each one of them and had now chosen a very young woman for his next wife, only 28 years old, whom he hoped would remain safe at home, build a family with him and thrive under his protection. But Katerina was suspicious of his world-building, believing it to be against her fanatical religious convictions. She devoted herself instead to her music and worshiping in her chapel, leaving Andrei and their young son, Peter, almost completely out of her life. 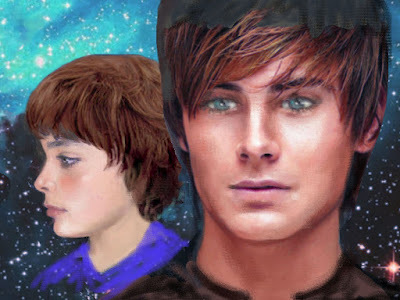 Peter was very close to his father and Tally, who was like a surrogate mother to him. He longed to be close to Katerina, but she always kept him at a distance. We see Peter grow from a six-year-old boy into a gangly teen ... the boy who will one day assume his father's important position in the Republic. 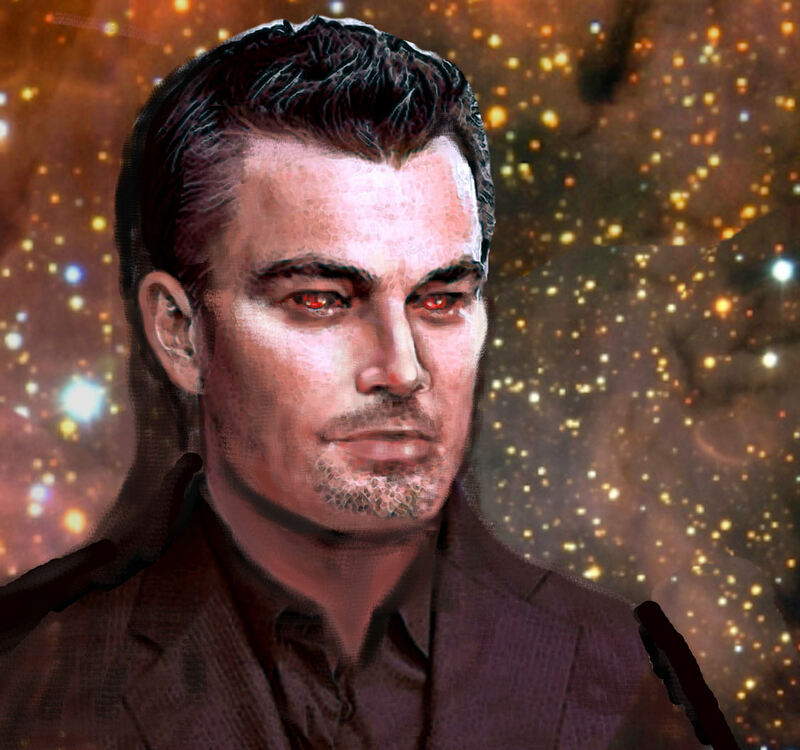 Illustrations are underway for some key scenes from the novel and some more intriguing characters. Watch for the next installments, coming soon. All of the illustrations shown here are done digitally using the Corel program, Paint Shop Pro Photo X2, and various brushes I designed for painting with the Wacom Intuos Electronic Drawing Tablet. 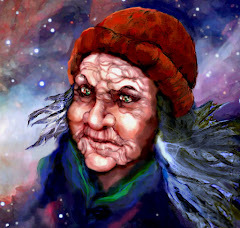 See my post on Digital PaintingPart II for how I developed illustrative and photographic techniques using this medium.